The day after our screening at the University of Victoria, we took another ferry — this time from Schwartz Bay to Tsawwassen — to head into Vancouver. Both Rae and I have been to Vancouver once before to attend Expo 86. Yes, twenty-four years ago as kids, we were both attending the same World’s Exposition here in Vancouver. If we had a time machine, it would have been interesting to see if our families ever crossed paths at the Expo. We had always wanted to set up a screening in the Pacific Northwest, since (1) we have friends and family living in the Washington and Vancouver areas and (2) there is a large Asian population in these areas. At a wedding a few months back, we were introduced to Amy Yu, the sister of one of my aunts. Amy lives in Richmond and was instrumental in setting up the screening at the Richmond City Council Chambers on November 9. She, along with Liesl Jauk from Cultural Services and countless others, attracted a huge crowd of over 140 people to the screening. The room was filled to capacity, and if more people tried to arrive, they would have been turned back! Fortunately, everyone who arrived was able to find a seat and see the film. Earlier in the day, Rae and I were interviewed on Omni TV Canada. Rae had some prepared remarks in Mandarin, while the interviewer asked me questions in English. Fortunately, I wasn’t dubbed, but subtitled in the final program. 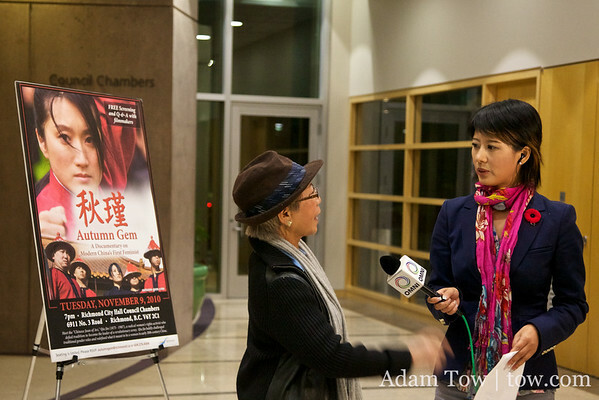 Later in the evening, my Mom was interviewed on live television about the film while Rae and I were conducting the Q&A session. Both of our parents have been critical to the success of Autumn Gem, both in the production phase and now in the screening phase. We couldn’t have done it without you! The crowd at the showing was a mix of young and old, native-born Chinese and Canadian-born Chinese. 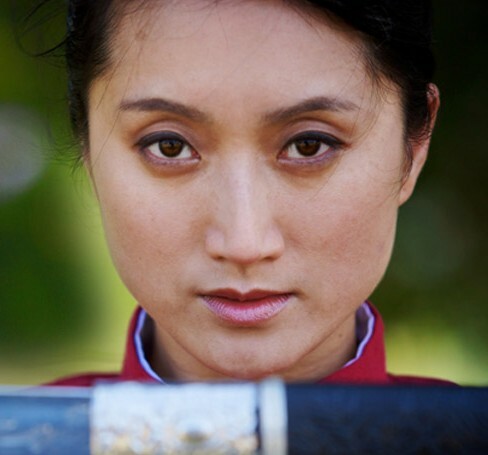 We’re now getting used to saying the term “foreign-born Chinese” instead of “American-born Chinese” when describing one of the target audiences for the film. 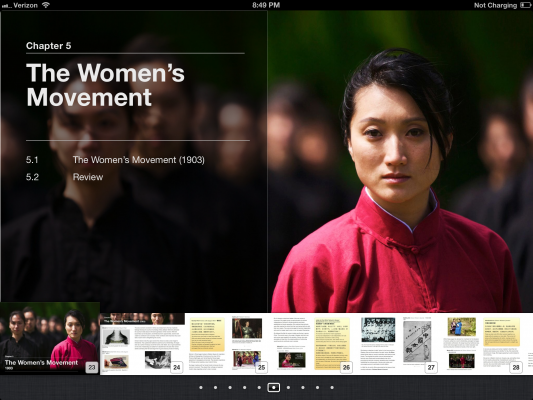 In our travels to Australia and Canada, it’s clear that the story of Qiu Jin isn’t well known to those born outside of China, Hong Kong, and Taiwan. All in all, our Richmond screening was one of our most successful to date. We thank everyone who organized and attended the showing! Speaking with both Liesl and Amy afterwards, we think we’ll be returning to Vancouver for additional screenings next year. When that time comes, however, we may need to get a bigger room! 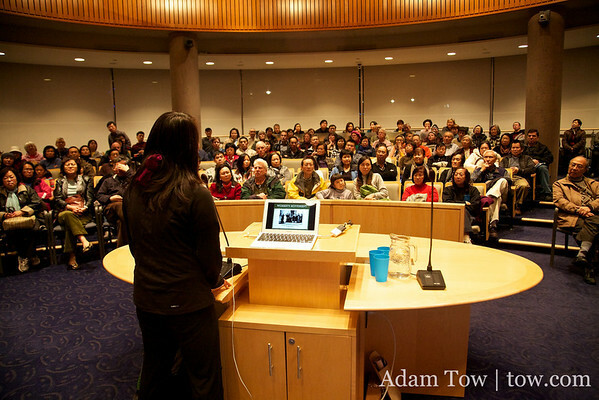 We do have one final screening in Canada at Simon Fraser University on Friday, November 12, 2010, from 6:30 pm to 8:30 pm. The location of the screening has changed to Room 3200, SFU Woodwards on 149 West Hastings Street, Vancouver. 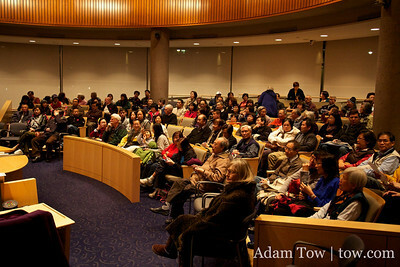 Here are photos from the screening at Richmond City Hall.